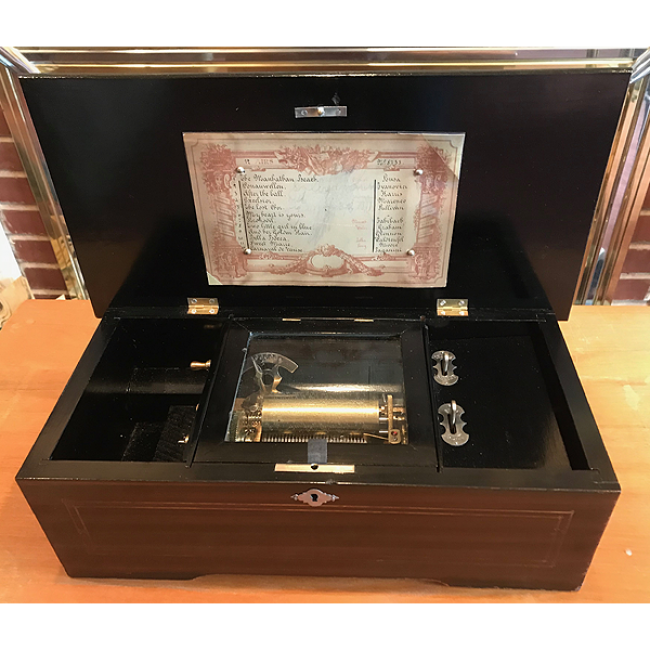 This Antique music box was made circa 1890 in Geneva , Switzerland by the "Paillard" firm. 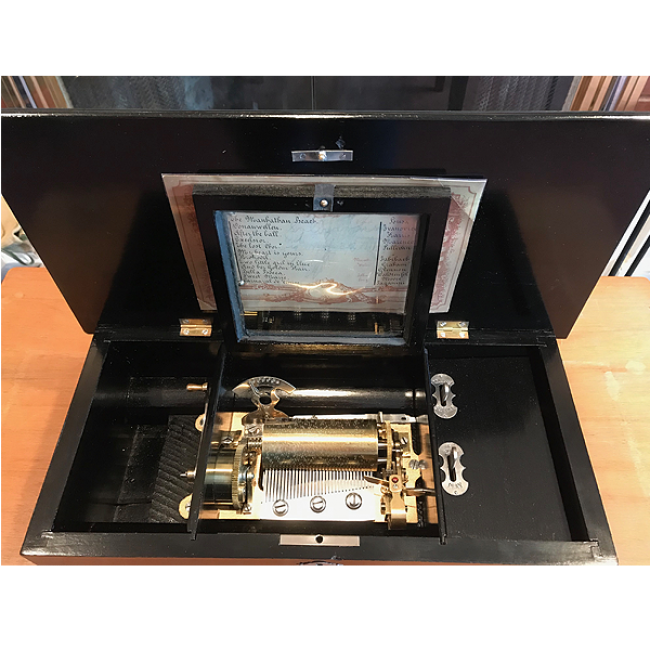 The Musical movement features an unusual tune format for a music box of this size. It is known as a "2 per turn" as the Cylinder plays two melodies per revolution totaling 12 songs. The songs are listed on the original Tune label on the inside of the lid. The tone is surprisingly quite "big" and clear for a smaller music box. It has been completely restored with no previous broken teeth or tooth repairs necessary. 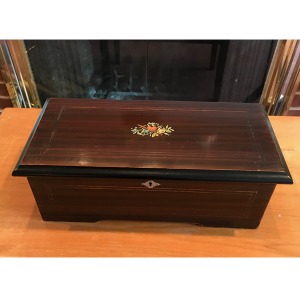 The Case is of the "Faux Rosewood" type with a Transfer in the lid center. The condition of the case is Beautiful. Case measurements 16" x 8" x 5"